The American Athletic Conference has delivered gold nuggets weekly in college fantasy football this season. 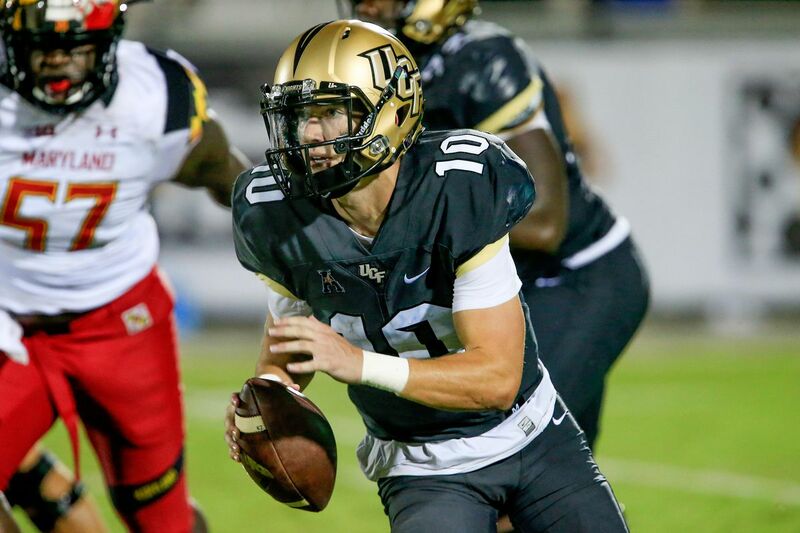 In two games, QB McKenzie Milton has exceeded all expectations for coach Scott Frost with five touchdowns and a 183.7 passer rating. The 5-foot-11 and 177-pound sophomore should produce plenty of yards and touchdowns at home on Saturday. Two weeks in row Ben Hicks garnishes my college fantasy football surreptitious starters’ list. Last weekend, he totaled three touchdowns against Arkansas State. This week, he suits up against the worst pass defense in the nation. The Huskies allow over 400 passing yards and two touchdowns per game: Hicks will effortlessly produce 25 fantasy points. Are you a gambler as a fantasy football owner? If so, Griggs could be your waiver wire wonder. The 6-foot-3 and 225-pound senior, who replaced Southern Mississippi legend Nick Mullens, has performed well this season. In three games, Griggs has completed seven touchdowns and passed for 681 yards. North Texas barely slows down opponents, allowing over 35 points and 273 passing yards per game. Griggs surpasses 25 fantasy points versus the Mean Green. The Cyclones welcome Texas on Thursday, and the Longhorns surrender 26 points and 126.2 rushing yards per game. Iowa State averages over 40 points per game and RB David Montgomery ignites the offense with 420 yards from scrimmage, nine catches and four touchdowns. The sophomore will ramble for over 100 yards and a score versus Texas. Over the last two games, the Panthers fell behind against Oklahoma State and Georgia Tech and abandoned the ground game. Qadree Ollison is clearly game script dependent, and Pittsburgh is a huge home favorite against Rice. Ollison will get over 20 carries and scamper for more than 125 yards and two touchdowns against the Owls. Every college fantasy football diehard covets a piece of the Red Raiders-Cowboys contest this weekend. Texas Tech is undefeated and a 9.5-point underdog on the road. Despite playing in crowded backfield, Justin Stockton remains the most talented runner and likely receives the most touches. If available, Stockton is well worth the investment; he accumulates over 100 yards from scrimmage and reaches the end zone. How bad is the UConn secondary? In the Huskies first three games, four wide receivers have eclipsed the 100-yard barrier: Blaise Bell (10-129-1), Doni Dowling (6-136-1), Andre Levrone (4-127-1) and Davon Grayson (11-223-3). UConn must double All-American candidate Courtland Sutton, and Quinn and Proche will both soar against single coverage. Astute fantasy managers crave a share of the SMU aerial assault versus the Huskies. 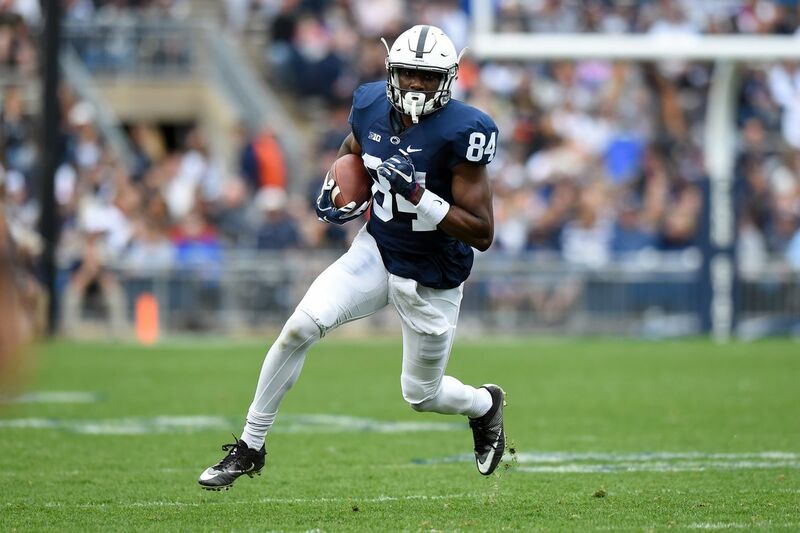 With Heisman front-runner Saquon Barkley demanding the attention of defensive coordinators, Johnson is an after thought when game planning. The junior rose to the occasion last week in primetime versus the Iowa Hawkeyes: seven catches for 92 yards and one touchdown. The Nittany Lions host Indiana, and Johnson will flourish Saturday. In the past two contests, the Bulldogs faced tough matchups against Alabama and Washington. KeeSean Johnson caught 12 passes but totaled only 106 yards and no touchdowns. Nevada ranks #129 in passing defense, surrendering 339.5 yards and over three touchdowns per game. At 6-foot-2 and 202 pounds, Johnson will certainly gain YAC yardage versus an inferior secondary, surpassing 100 yards and feasting in the end zone for the first time in 2017.